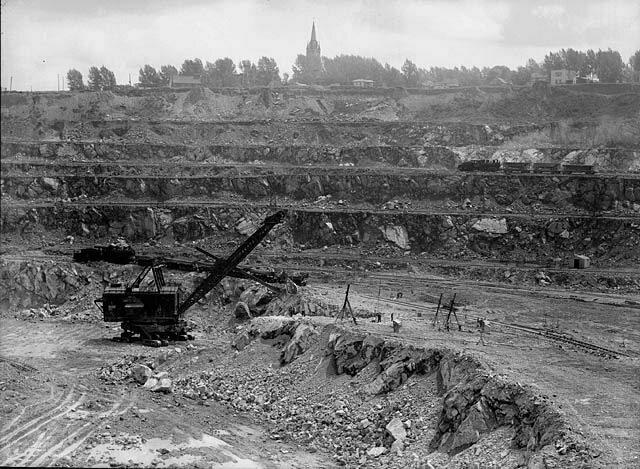 The Jeffrey Mine in the 1940s. Hidden in old buildings and under streets, asbestos—once thought of as a “miracle mineral”—is always lurking. Though today it might seem like a relic of the past, under new rules from the U.S. Environmental Protection Agency, the U.S. government could approve new uses of asbestos in consumer products going forward, reports Fast Company. There are still places where asbestos mining is a notable industry: Canada’s asbestos mines—including the mine at Asbestos, Quebec, once the largest in the world—only closed within the last 10 years, and in Russia, the town of Asbest is still a major center of asbestos production. 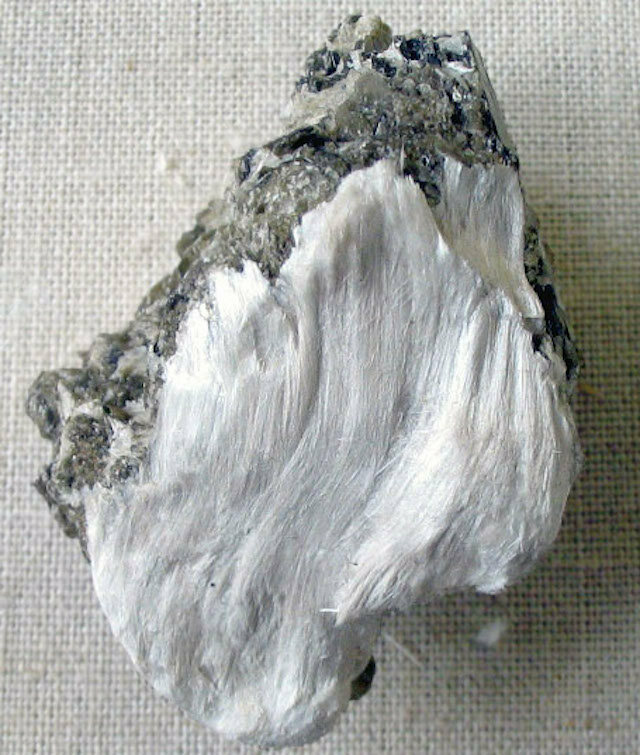 Asbestos fibers on a muscovite rock. Asbestos has many strange properties and has been incorporated into manmade products going back thousands of years. Manufactured, it often comes into human environments as a textile or a dangerous powder, but in nature it appears as six different types of natural silicates. Part of what makes it uniquely useful is how its crystals form, into tiny, thin fibers. It can be woven into fabric, it’s resistant to fire, it dampens sound. 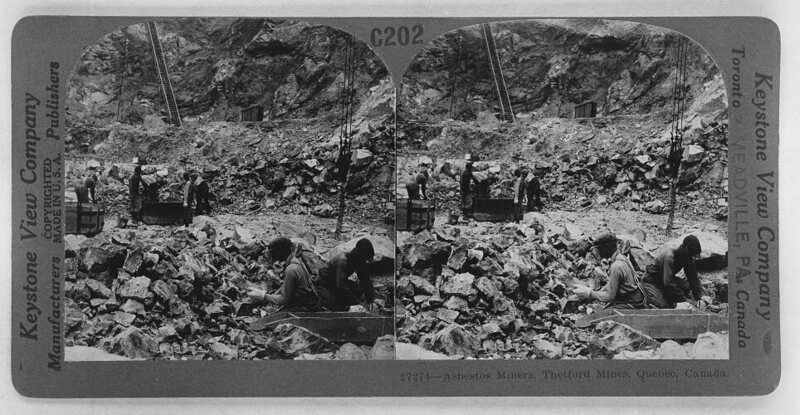 Modern asbestos mining started in the 19th century, and Canada became one of the leading producers of asbestos early on. In the 1850s, significant deposits of chrysotile, the most commonly used form of asbestos, were found in Thetford, Quebec, south of Quebec City. By the end of the 19th century, the Jeffrey Mine, about 50 miles southwest, had also become a major source of asbestos, and when workers settled near the mine, they called their town Asbestos. Asbestos miners at the Thetford Mines in Quebec, Canada.